It is that time of year again!! 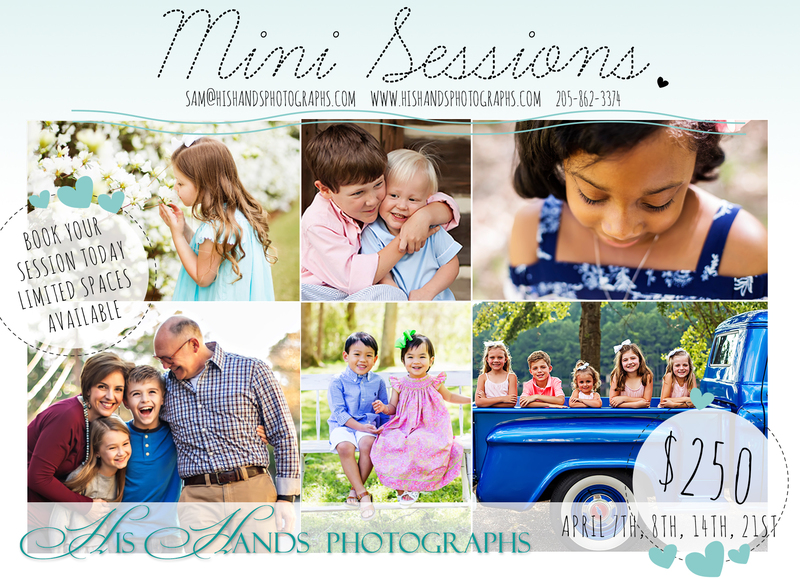 Mini session dates are April 7th, 8th, 14th, and 21st. This entry was posted in Birmingham Portrait Photographer | Bookmark the permalink.